A monument in Glenboro, in the Municipality of Glenboro-South Cypress, commemorates soldiers from the local area killed during military service. 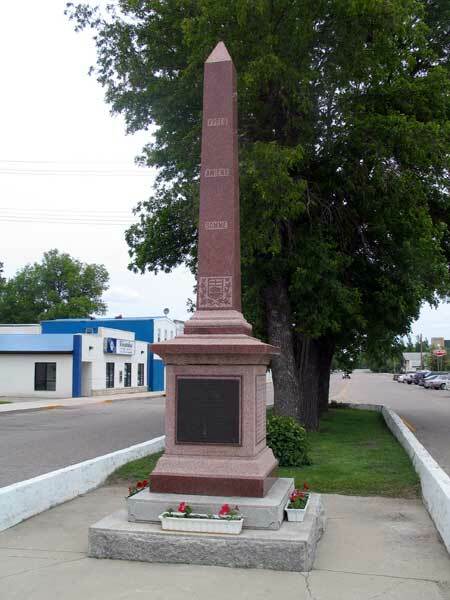 It was unveiled at a ceremony attended by Lieutenant Governor James Aikins on 1 June 1921. “Glenboro and Stockton memorial unveiled,” Glenboro Gazette, 2 June 1921, page 1.